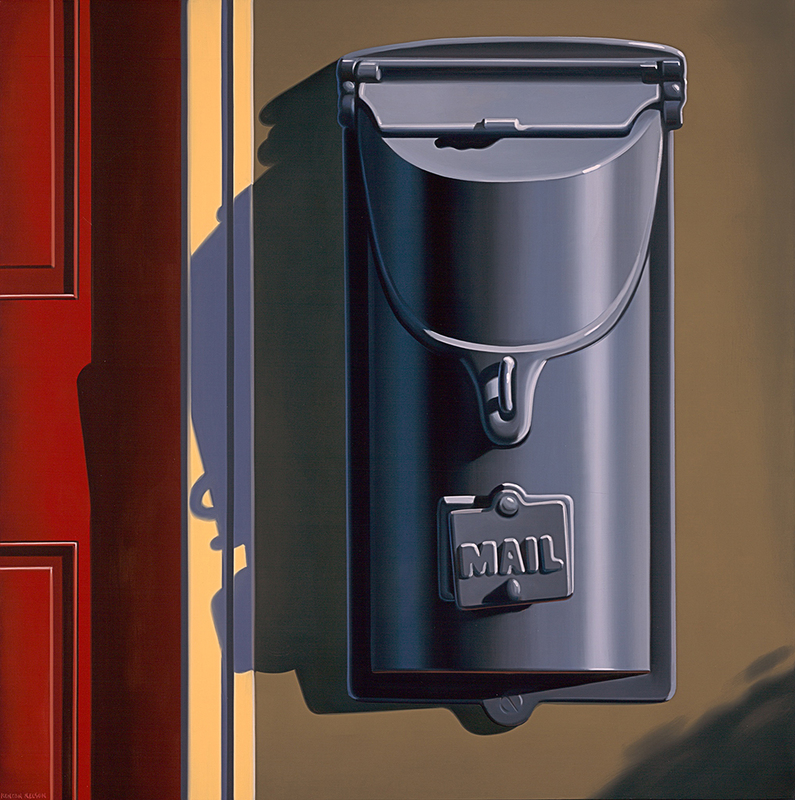 Coming from a commercial illustration background, his paintings, never nostalgic, depict a certain suburban zeitgeist: young women at home and on the beach, men in suits, such otherwise mundane imagery as mailboxes, fire hydrants, kitchens, lawn mowers and a boldly colored tractor that suggest a bygone era, all under the protective allure of a companionable light and shadow. 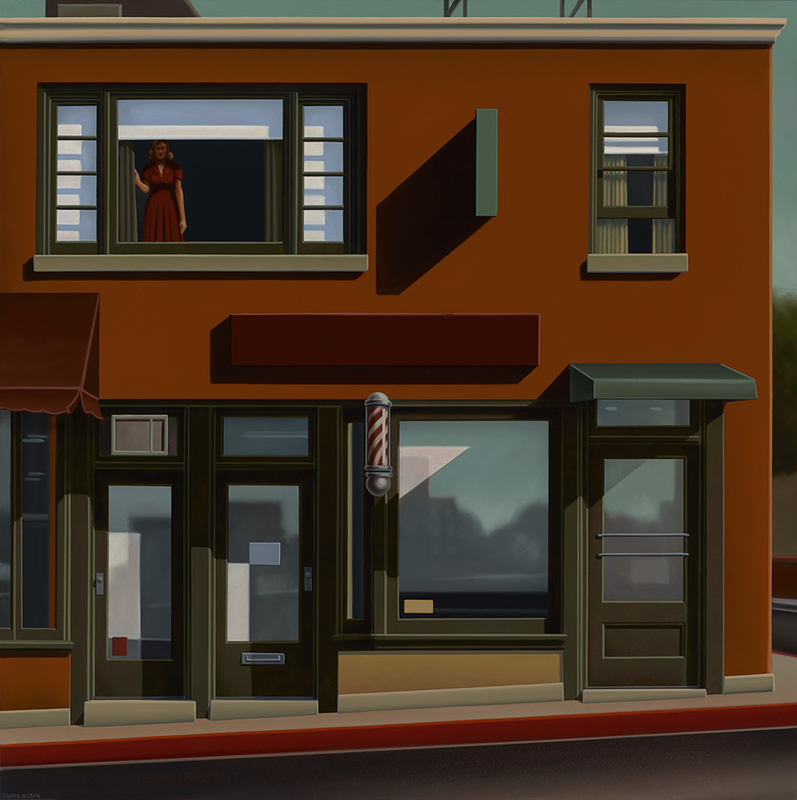 A few of the images are portraits of solitude: intimate, sometimes even tense, private moments. 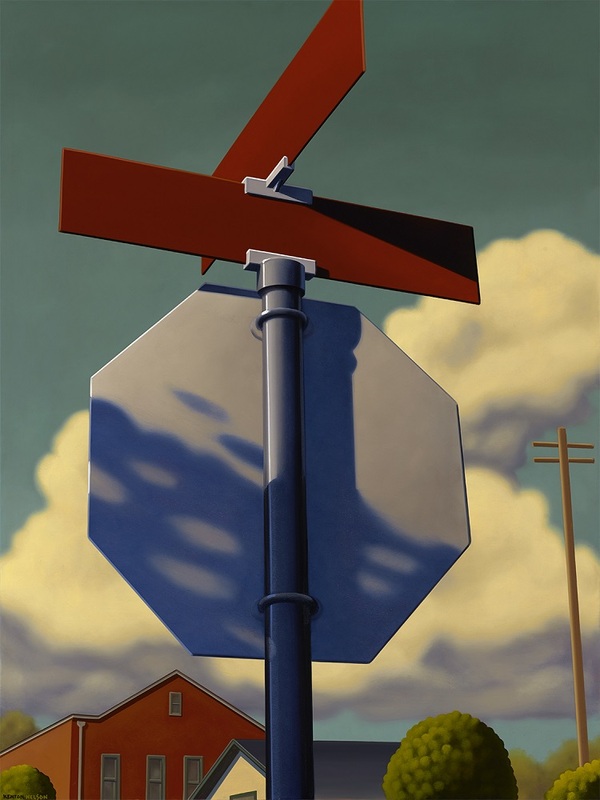 Nelson is influenced by some of the goals and devices of surrealism, of the hyper-realist technique of Dali and the absurd juxtapositions of Magritte; he’s also aware of the influences of cinema, Edward Hopper, European advertising and propaganda posters of the thirties, forties and fifties, and contemporary American realists like Alex Katz. 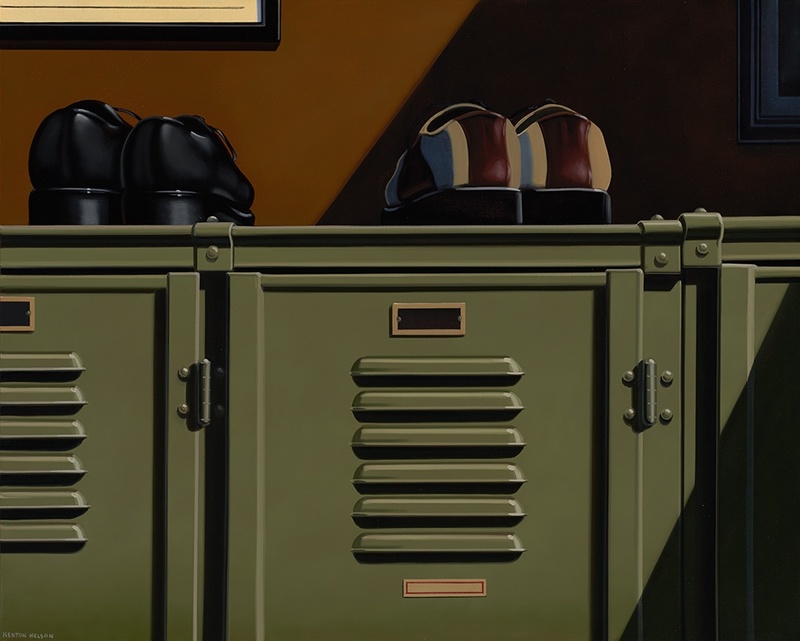 Since the 1990’s, Pasadena native Kenton Nelson’s work has been shown in numerous solo and group exhibitions throughout the U.S. and Europe.